As a health spa owner in Mexico City, Carlos Gomez Andonaegui often fretted about the cost of water. Mexico’s capital city, with more than 20 million people in the metropolitan region, sits at an altitude of more than 7,000 feet in the heart of the country where it is near no major natural water sources. Two enormous systems dating back to the 1940s and 1970s elevate water by more than 3,000 feet to reach the residents of the city. Gomez Andonaegui found that the price fluctuated so much that it was major stress in running his business. He dreamed about ways to manage it better. Today, Gomez Andonaegui and his co-founder Philip Winter are unveiling the fruits of their work with a new shower head that uses 70 percent less water. 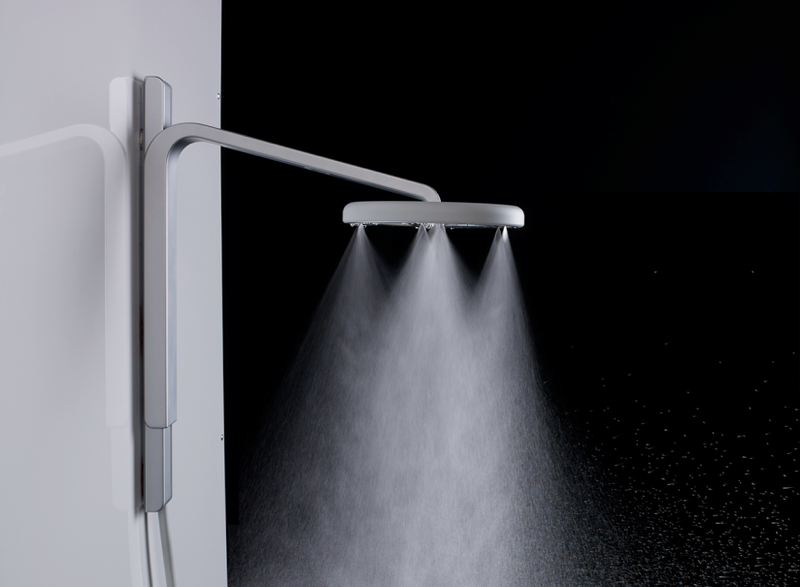 Called the Nebia, the shower creates millions of tinier water droplets with a surface area that is 100 times larger than the drops that normal shower heads produce. Because of that, Nebia’s shower head has a flow of 0.75 gallons per minute, compared to the standard 2.5 gallons per minute under EPA standards. 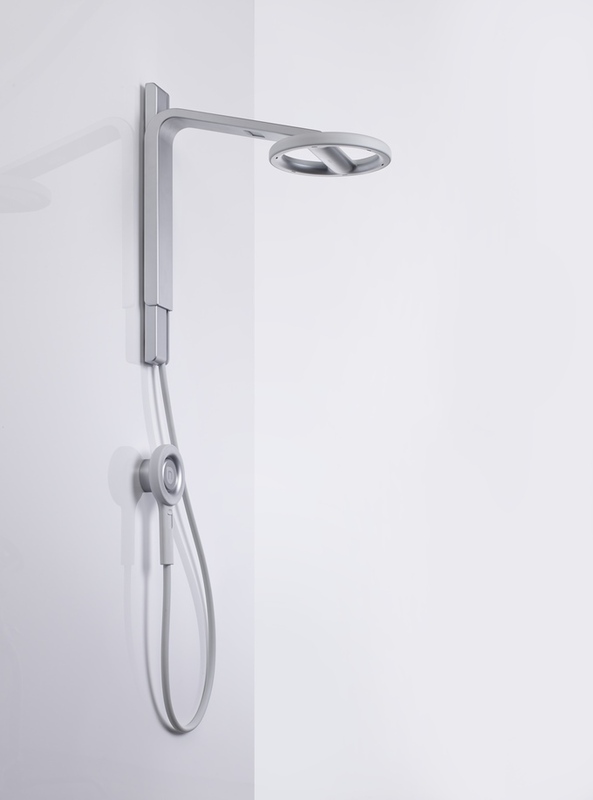 They’re launching the Nebia shower head on Kickstarter with an initial price of $299. The goal is to create a direct-to-consumer brand (like Nest’s initial strategy with thermostats and then smoke detectors). Nebia’s flat, circular shower head is made of a high-density polymer with nozzles that spray out micro droplets. Then the shower’s bracket is made from anodized aluminum. It connects to any standard pipe in the home. For now, it’s not connected to any kinds of software. However, the team thinks there are long-term possibilities to build an Internet-of-Things model that could tell consumers how much water and energy they’re using or later down the line, a smart water heater. So far though, the startup has focused on getting an initial version right by modeling droplet sizes and temperatures to make sure Nebia’s water flow hits the body at the right level of heat. The six-person company has some test units that they’ve used at the Equinox gym chain and at Google and Apple’s campuses. They’ve racked up some impressive investors including Tim Cook and Eric Schmidt. Eventually, they’d like to reach scale and bring the cost of production down so that the Nebia can come to developing countries where water is extremely scarce. “If everyone in California were to switch over to this shower head, we think we could reduce the state water’s use by 1.5 percent,” Winter said.